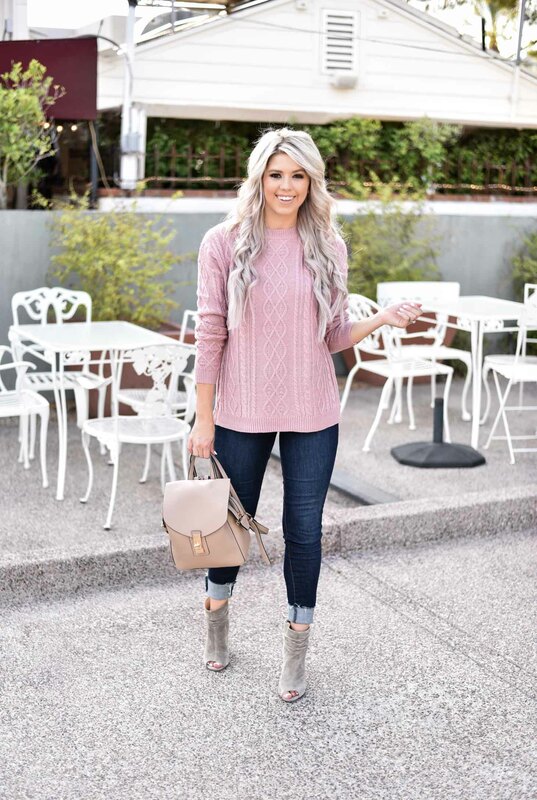 One of my favorite Fall staples is a great cable knit sweater! 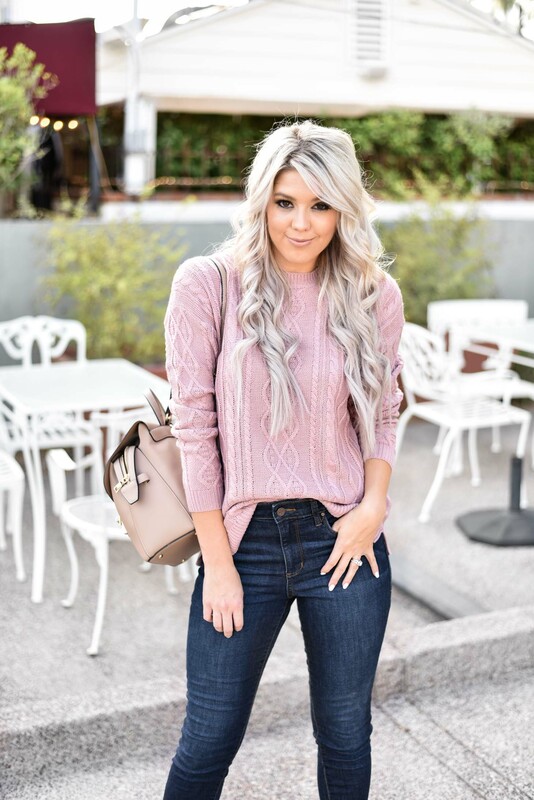 When I first saw this sweater from Magnolia Boutique, I fell in love with the color. It also comes in an off white version as well. 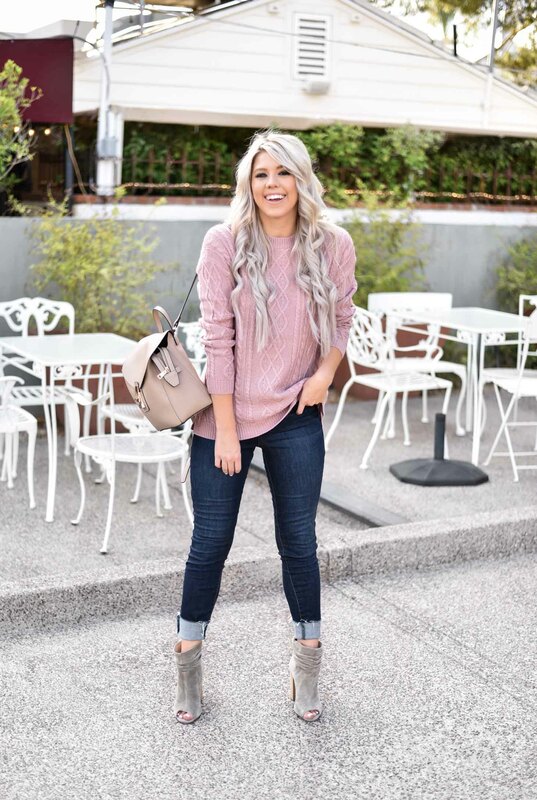 It’s so soft and easy to throw on with your favorite pair of jeans. 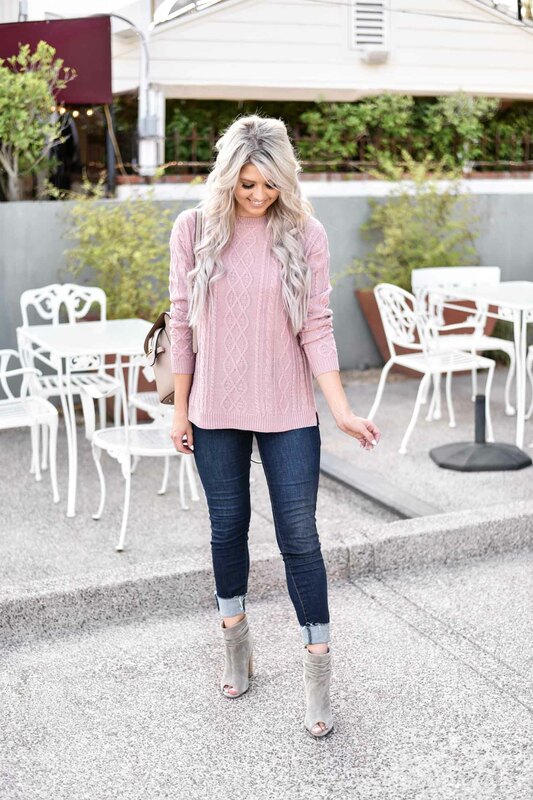 This pair is so soft and only $65! Such a great quality for this price point! 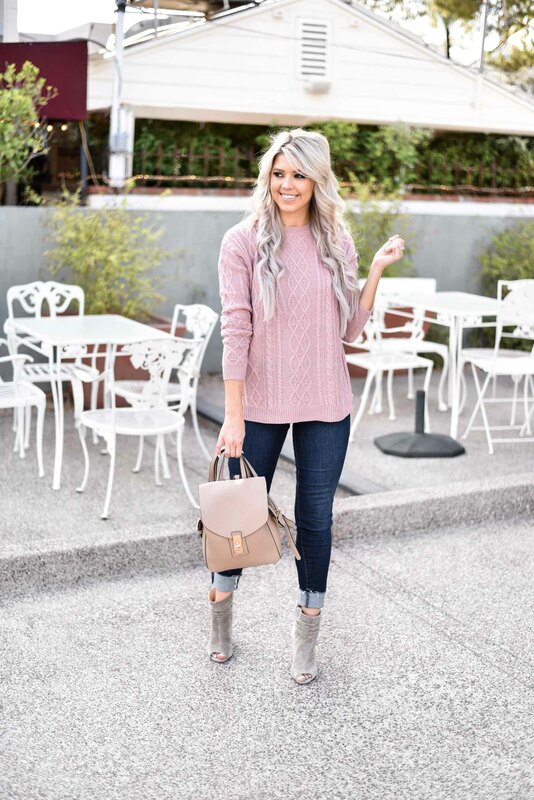 The perfect fall booties (a favorite of mine from last year) are the perfect shoe for this casual and comfortable fall style. 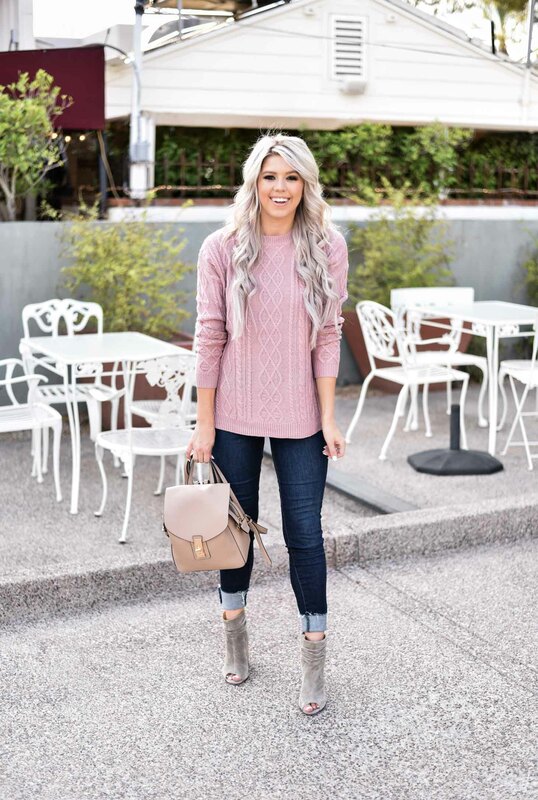 There are limited sizes left in these booties, but I’ve linked up a ton of similar options for you! Everyone needs a great pair of grey booties for Fall! You just can’t go wrong with them! 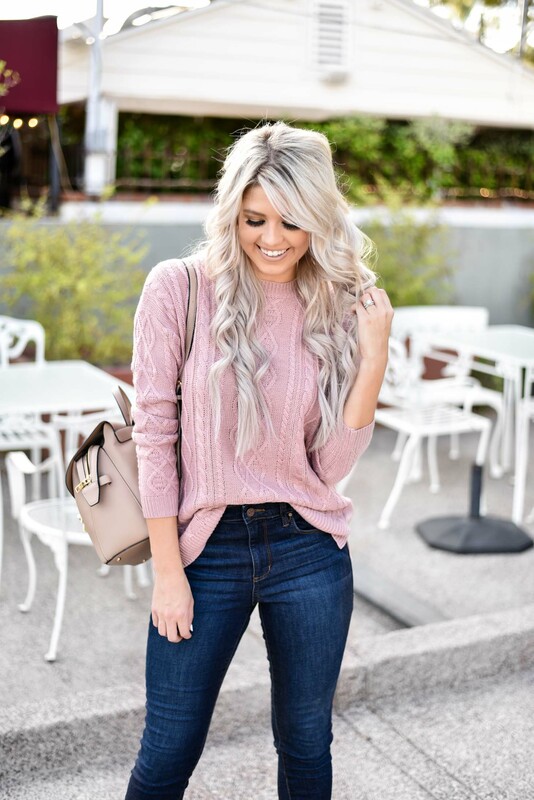 Be sure to check out all the cute fall styles at Magnolia Boutique right now. I am absolutely obsessed with their line!